This 8 lbs. 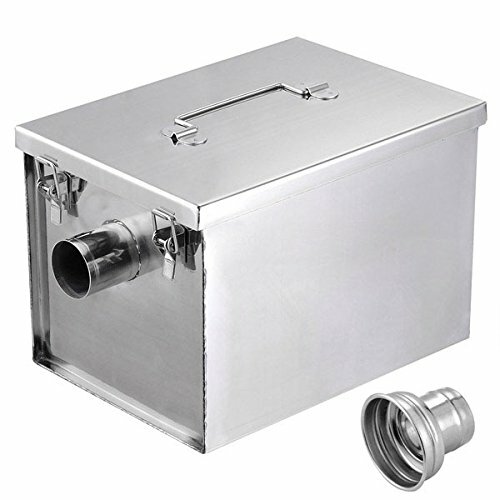 Under Sink Grease Trap is fit for many single compartment sinks. Made of heavy duty stainless steel and it is capable of handling a drain flow of 5 gallons per minute. Cover is removable for easy cleaning. Supplied with an external cast iron flow restrictto allow water to flow through at appropriate rate.